Language translation hearables have arrived. We've already seen the likes of Pilot, Bragi and Mymanu enter the fray, while Fujitsu recently announced its device to help healthcare professionals break down language barriers. Looking to get into the mix is Chinese startup Timekettle, with its $99 WT2 translation earbuds that have just hit Kickstarter. But with this hearable branch becoming increasingly more crowded, how the WT2 will differentiate itself from competitors will no doubt be crucial. "First and foremost, we made this because we wanted conversations between two people speaking different languages to be more lateral and fluid," said Timekettle's Wells Tu. "We feel like this is still a very niche market that people don't know much about. There may be lots of translation apps, but we want this translation hardware to be available for everyone. And we're a small startup, so it's still important for us to receive feedback from the community." So, how does it all work? Well, as Tu noted, WT2 has three different modes that can help you translate in real time. The first is Auto Mode, which is designed for conversation in a quiet environment. 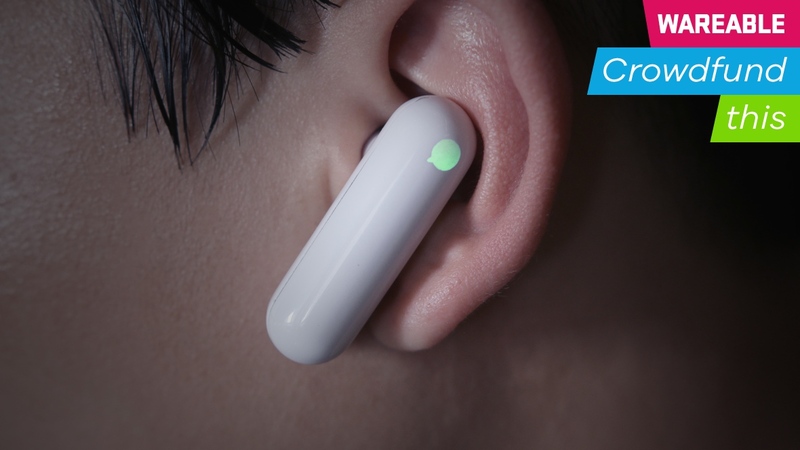 So if you were in a meeting or grabbing a coffee with someone speaking a different language, the earbud is able to use its inbuilt algorithm and translate your conversation in real time, hands-free. You're not always going to be in a quiet environment, though, which is why there's also a Manual Mode. If you're stuck in a noisy bar or street, you'll have to prompt the device in order to receive the same functionality. Within these two modes, both wearers will hear the translated sentence, with the latency of speaking to translation sitting at around 1-3 seconds. Interestingly, when users are simply looking to ask someone for directions or confirm a price of something in a shop, there's also an Ask Mode. For this to work, all you need to do is wear one of the earpieces, hold your smartphone out in front of a wearer and wait for the translation to be presented in audio or on the screen. Tu explained why these methods, and particularly the Ask Mode, can be useful for those travelling – and also why it's potentially a preferable option over its rivals. "Pilot, for example, was one of the first to provide this idea about translation earphones, but the problem is that we haven't seen a working sample yet," Tu explained. "I think they're using two earphones and two apps in order for things to work. "When you meet strangers, they would need to download another app – that's not a good experience. We just use the one app to control both earpieces. All you need to do is give the device to another person and start speaking. Or, if you just have a simple question, you don't even need to go through that." It hasn't been a straightforward process, Tu says, with early issues over the transmission of the translation data and latency causing problems. However, these have now been ironed out ahead of the expected launch in December. When it does make its way to backers, it will do so with the ability to translate between English, German, French, Spanish, Mandarin Chinese and Japanese. And Tu indicated that adding more languages, such as Turkish and Russian, is the next step in the roadmap for the WT2. As always, that's the question we try to answer based on what we know and have learned about the project. When you take the WT2 translation earbuds at face value, there's a lot to like. Tu noted that Timekettle has already lined up a manufacturer and discussed a mass production plan. In December, it's aiming to have around 600 units ready to ship before ramping up its production. In the meantime, the team will be optimising and modifying the software to get it set for launch. However, although the premise of real time voice translation is always promising, how this works in practice is the biggest key. Truly offline translation isn't yet a realistic possibility for voice translation hearables, but the fact the WT2 offers a solution for those looking for quick conversations is definitely a highlight. Whether this and its relatively cheap price point is enough to lure backers remains to be seen. But for those who want to get in on the ground floor of a voice translator doing things slightly differently, Timekettle's translation hearable looks well worth checking out.